The vote is soon! Help defeat the NRA! Senator Reid announced that gun reform will be voted on April 8. We have between now and then to pressure wavering senators to support universal background checks and an assault weapons ban. The NRA spent $2,905,000 lobbying Congress last cycle. The top gun control group spent $40,000. Can you chip in $3 to allow the PCCC to organize in the home states of wavering senators? DONATE BELOW or by mail. 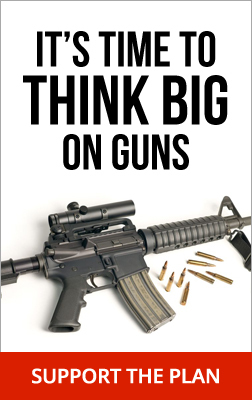 You can also donate to the PCCC Strategic Fund to support our big-picture campaign finance reform work -- getting the gun manufacturers who fund the NRA out of politics.